that print is adorable! and i LOOOOVE the monsters university jumper! I love the print and the inside out journal! Such a cute idea. It has the potential to become a new blogging book I feel!! I love love love that phone case - Beauty and the Beast is 100% my fave Disney film. Now to get me an iphone! 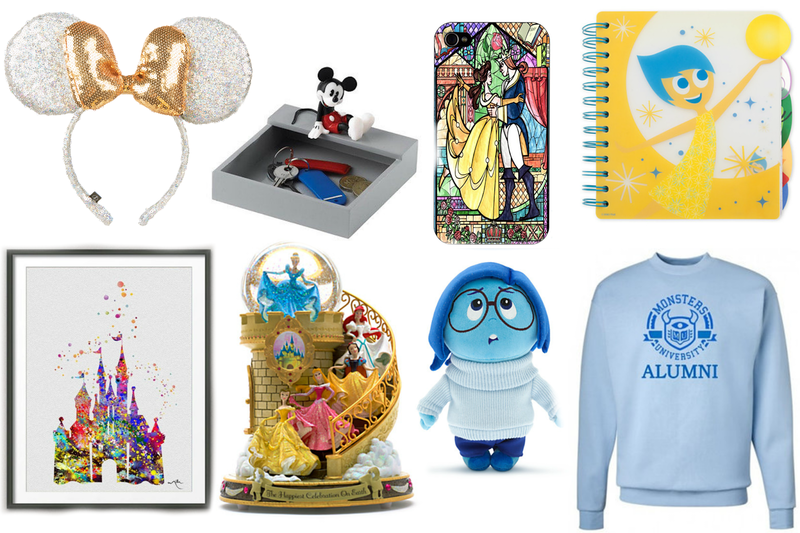 Great wishlist :) I used to collect the Princess snow globes so I'd definitely need to add that one to my collection! I always enjoy a good Disney wishlist! I always end up adding so many bits to my own wishlist. What a fun wish list and I have never bought Minnie ears so next time I go those are the first thing I'm buying! Awww I'd love to pick up a print like that when I go in sept! I have to get some minnie ears too! I need that print in my life! !